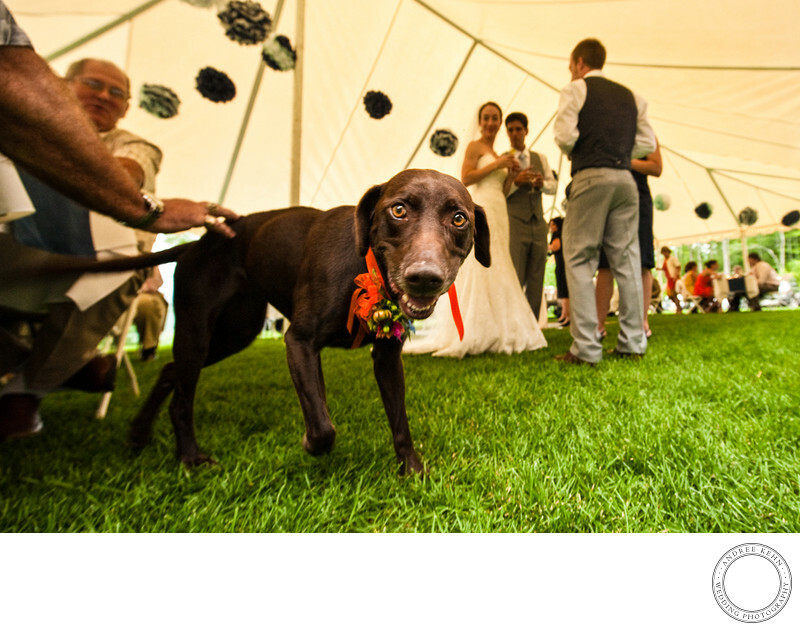 Goofy neurotic dogs are weddings are a must-do at an outdoor tented backyard wedding in Maine. A goofy little spit of a dog, this Miss Thing was the hit of the day. Weddings and couples come in all variations and their love of dogs and choice of wedding dog follows along. This wedding was in Western Maine, very near Sunday River Ski Resort. The wedding and reception were all in the same location. Keywords: Wedding (231). 1/100; f/5.0; ISO 3200; 14.0 mm.